*Links to products may be affiliate links. This is the first year we have had an overabundance of fresh green beans in our garden. It's also the first year I've attempted to use a pressure canner. 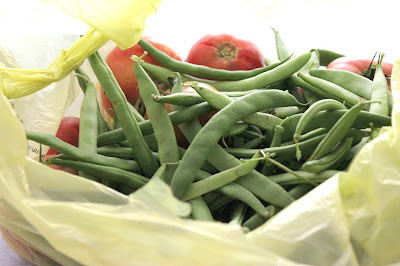 Putting my nervousness aside, I realized last week that there was no way we could eat the beans I picked each morning by that evening (even though we really, really tried), and I was going to have to get over my fear and learn to can them. 1. I gathered my supplies. 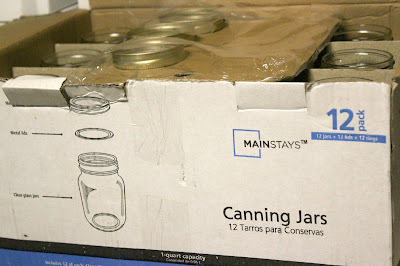 I needed extra canning jars (quart-sized for our family) and noticed that Walmart now had Mainstays branded canning jars with lids for almost $5 less per dozen than the Ball brand. I took a gamble on these, but was not disappointed in the results. I also got together my pressure cooker, accessories (lid lifter, wide-mouthed funnel, magnetic lid lifter, and jar lifter), as well as rings, lids, tongs, and ladle. After the beans all look pretty and have been rinsed. It's time to "hot-pack" them. 3. 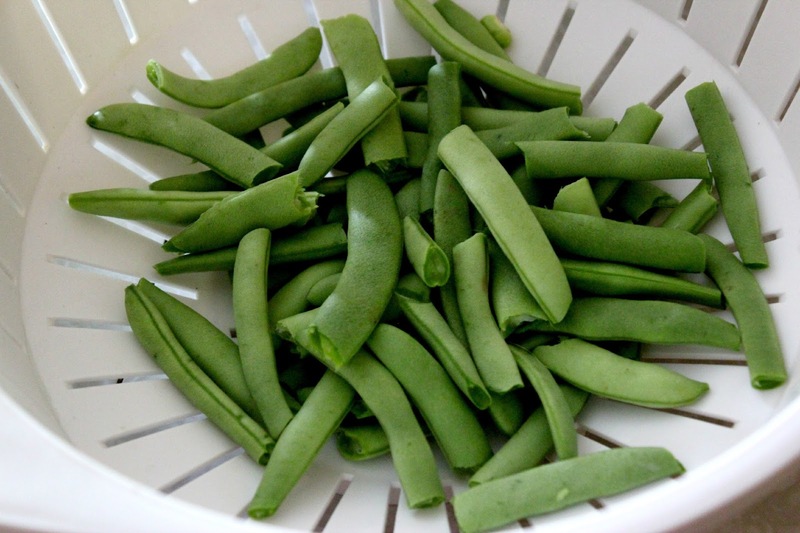 Boil the beans in a pot of hot water for 5 minutes. 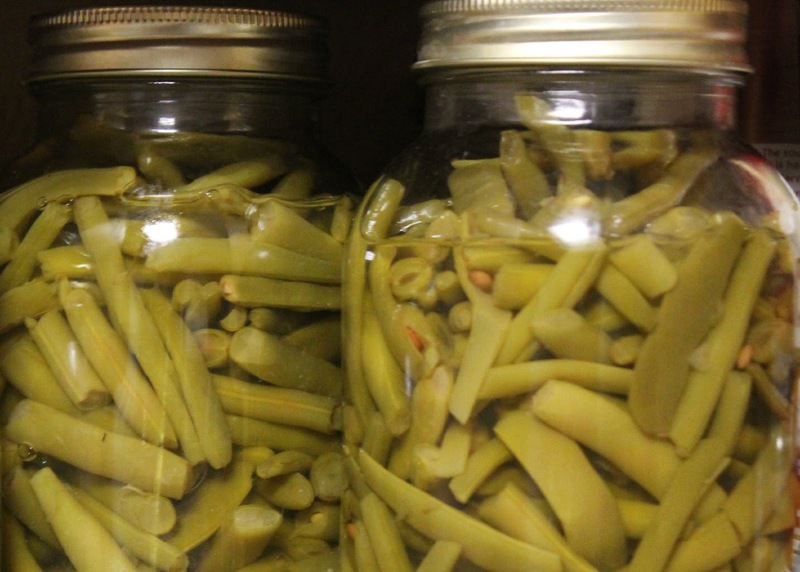 During this time, you should be preparing your jars, lids, and pressure canning pot, checking to be sure your canner is in good working order. 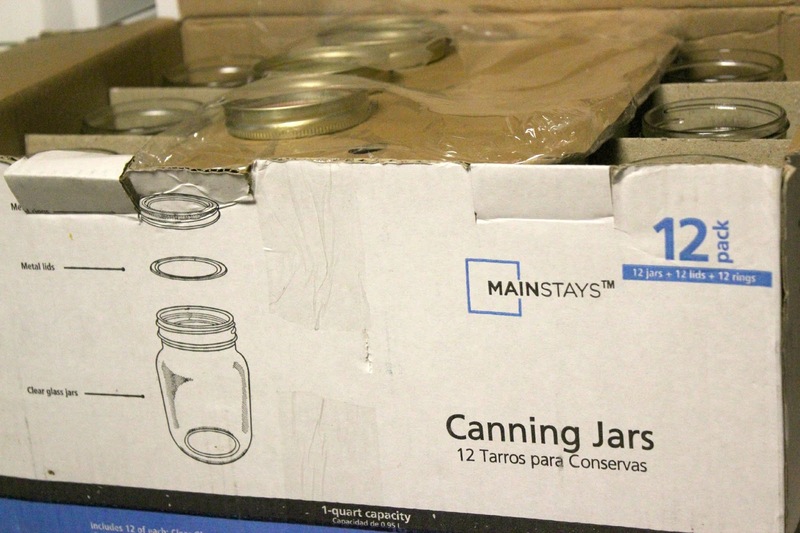 (For full instructions, see the Ball Canning book or instructions for your particular canner.) 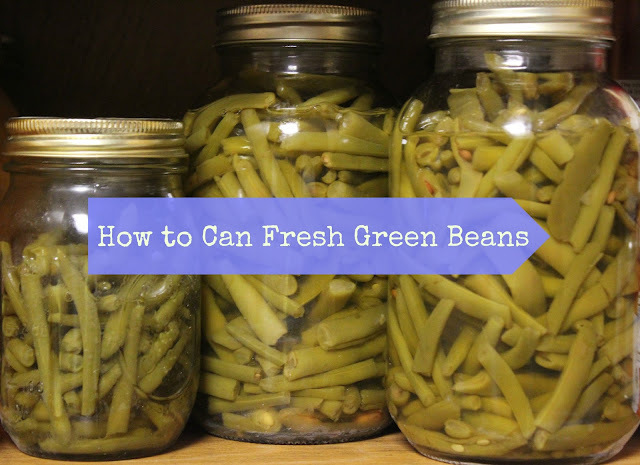 You will want the proper amount of water in the bottom of your canner, as well as enough clean jars, lids, and rings to do all of your beans. Once you have cleaned them in soapy water, put the lids and rings in a small pot of boiling water and the jars in the canner until you are ready to fill them. 4. When the beans are done boiling, use your tongs and the wide-mouth funnel to pack as many hot beans into your hot jars (just removed from your canning water) to leave a 1/2 inch of space at the top of the jar. If you like your beans salty like store canned beans, add 1/2 teaspoon of salt for a pint jar or 1 teaspoon of salt for a quart jar. Then, fill the jars to the top (leaving that 1/2 inch space) with the water you boiled your beans in. 5. Place the lids and rings on your filled jars and place them into the canner. Use your canner's directions or this Ball website for full details on how to process your beans. It took me about 15 minutes to get my canner to the proper temp, 10 minutes to let steam off, another 10 minutes to get it to the right pressure, and 25 minutes to process the jars. In total, it took me about an hour from start to finish. Note: The first time I tried beans, I lost some of the liquid from the jars. This was due to not being able to maintain a constant pressure in the canner (which is common when trying to keep electric flat-top stoves at a continuous temp.) The next time, however, I was more in tune to my stove's temps, and I didn't have the same problem. I lost no liquid with my second batch. 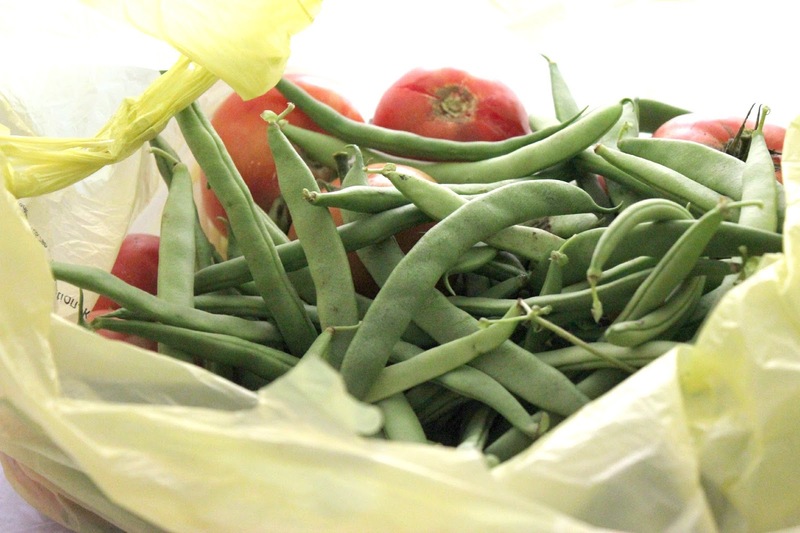 Have you found yourself with too many green beans? While it's late in the year, many gardens are STILL producing these delicious veggies. I like that we can put some aside for the colder months without strain to our food budget. All of my canning supplies, books, and staples have been purchased at Walmart, and, if you find that your local store is running out of jars, be sure to order online! These look delicious. 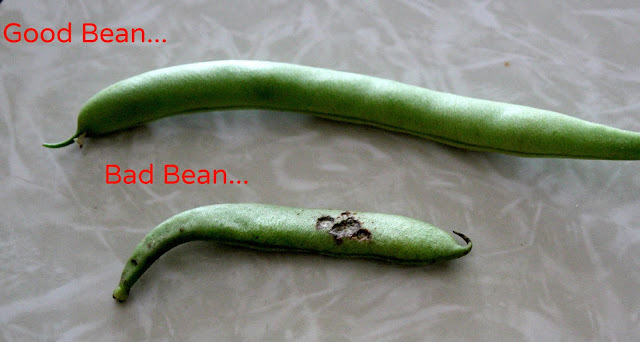 We can turnips, carrots and pickled red cabbage but haven't tried beans yet -- mostly because we hadn't GROWN beans yet. This is the first year and, as I noted on your Facebook page, I wasn't sure I could get them to grow up here in Alaska. Grow they did, but we haven't had enough to can. Next year I'll plant more than one package of seed.